The second book in the Lacey Blue series is now available at Amazon in paperback or Kindle. Lacey Blue and the Rejects is set in the Great Desert of the American Southwest. 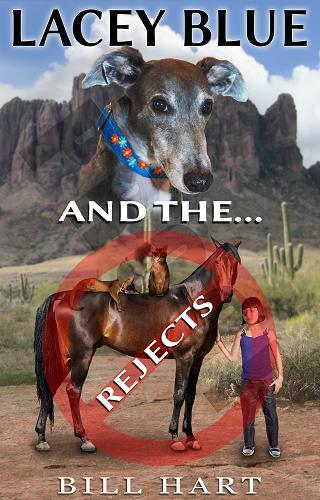 It's a story about an unwanted child and her animal friends finding a forever home. When Meg dies in a car accident, but is then revived, she is changed forever. She now has the ability to talk to and understand animals. Meg is a ward of the state and has never known her own mother or what it feels like to be loved. Because she keeps running away and is arrested for shoplifting, Meg is ordered to perform community service work at an animal shelter on a ranch. Being shuffled from foster home to foster home has left Meg with a heart as hard as flint, but when she starts to hear the animal's stories her hardened heart begins to soften. 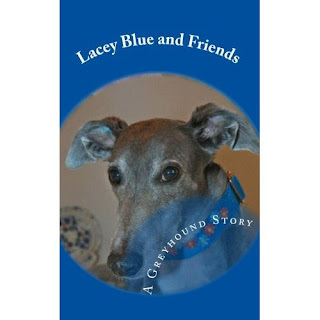 She soon forms a bond with Lacey Blue, a retired greyhound, and other animals she meets in her work. Then her world is turned upside down when she learns that animals are disappearing. When the evil men who are stealing the animals find out that she is on to them they chase her into the desert. But Meg isn't alone, she has Lacey, Dusty a retired race horse, Shiplap, a cat who thinks he's a pirate, and his long suffering sister, Nadine to help her. While they hide in the desert, trying to avoid the men who wish to silence her, the Rejects Club begins to make plans for a forever home. Unfortunately, they aren't exactly sure what a home is all about. Then the net tightens and once again, they are forced to flee with several close calls. Finally, Meg and Lacey must overcome their fear in order to rescue their friends. Meg must face the evil men and somehow figure out a way to stop them. This fast paced supernatural adventure will keep you turning pages until the exciting conclusion. You can order my book Two different ways. But before you order a copy or copies, maybe you'd like to know more about it. The paperback version is 5" x 8" and 234 pages long. It's a book that can be enjoyed by a wide range of ages. It is meant to be entertaining while also raising awareness about adoption, animal rights, and the prevention of cruelty to animals. I hope readers will find it fun to read as well as uplifting and inspiring. I've added a page with a description, excerpts, and also a page with a list of the characters. One of the reasons I wrote this book was because I care so deeply about the animal abuse, such as dog fighting, that is going on in our world. I did write about these issues in the book and hope to bring more public awareness while also entertaining the reader. Why not just write a non-fiction book about such serious topics? There are plenty of good non-fiction books and articles about animal abuse, animal rights, etc. There are more ways to inform and enlighten, however, than just reporting the facts or editorializing, though I am certainly not criticizing either of those methods. Non-fiction books can also be powerful tools for social change. The book, "Black Beauty," by Anna Sewell, is an example of a book that changed the world. It was a fictitious autobiography of a horse and helped to change the laws of Great Britain while also raising the consciousness of the whole country. Another good example is, "Beautiful Joe," by (Margaret) Marshall Saunders. It was a work of fiction based on a real dog. It was the first book written in Canada to sell over 1 million copies. While I'm not in the same class as those great writers, I do hope that Lacey Blue's book will make some people think more about our human - animal interaction. I also hope they will find it inspiring and fun to read. Very Cool. A greyhound is an *excellent* subject for any story. Good luck with your endeavors. 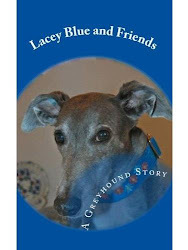 I am excited to read all about Lacey Blue aka Blewberry! I am your newest Google Friend Connect Follower and I wouldn't have known about you if it weren't for Tales and Tails, Blueberry's mom! How exciting that your story is going to be out on bookshelves on November 1st! I am going to "like" you on Facebook too so I can be up to date! By the way, I am hosting a THANKFUL FUR 3 THURSDAY BLOG HOP today and the object of the blog hop is to gain followers who want to be featured (along with a photo and a description of the blog) as one of the 3 newest blog followers so I suggest you join in on the fun and if you are interested I'd love to introduce you to everyone next Thursday! Sorry I missed the Thursday hop this week. I'll try very hard to remember it next Thursday. Guess what? I decided to feature you and your human in today's blog hop (October 28th) and I hope you gain lots and lots more fans because of the feature! Please come by to see what I wrote about you! ...and I just wandered over here from the blog hop! Hi!! One more follower - best wishes with the book. Thanks Teacher's Pets. Does this mean I am an official Teacher's pet for the day? Pleased to meet you! Your book sounds very interesting. I already know Miss Blueberry, who lives with the Noars, so I'm looking forward to following your adventures. I'm happy to have found you on the Blog Hop! Happy Saturday! Nice to meet you! Can't wait for your book to come out so I can read all about it...well mom can read it to me :) I am still learning! Well hang in there Levi, even if you can't read, as long as Mom will read it to you, you'll get to hear the story. Thanks for hopping over my way today, I liked your Facebook page and followed you on Twitter too!!! Thanks, Brian, you sure have a lot of followers! I can't believe you're gonna have your own book! I'm so excited for you... PSST... Don't tell my boxer, she'll want one too! Hi Lacey-found you through the Saturday blog hop. Will be interested to read your book! when you have a chance, hop over to Bocci's Beefs, we'd love to have you as an official follower. Thanks! Just catchin' up with my friends. Can't wait for your book. 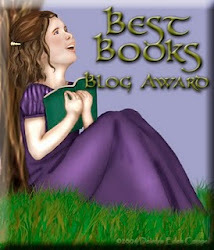 Hey I'm back with a thought: would you consider doing one give-a-way of your book on my blog? Bocci's Beefs is focused on pet adoption and rescue, and the promotion of select products and services. I am always open to suggestions. I can make a special link for referals or workout some kind of JV for you. I'll email you if I can figure it out (I'm a little psyber challenged). If you don't hear from me, maybe you could email me? Congratulations on the book! Very exciting! Yippee! What an accomplishment. Great front cover design also. Sorry I am so late in getting back to you all. Thanks to all for the kind words and continued support. It means a lot. Thanks. I'm doggedly working on the next edition. The barbed twine fencing has been utilized in some of areas, which encompass homes, constructing, gambling floor, training floor, amusement areas, land, sanatorium, properties, recreation centers, and navigate to this web-site.